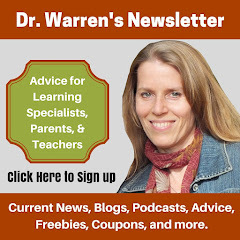 What are the Signs of Dysgraphia and Solutions for Success? What are the Signs of Dysgraphia or Impairment in Written Expression? Some kids with dysgraphia struggle with critical thinking and putting in ideas into their own words. Their verbal abilities far exceed their written output. Some children with dysgraphia also struggle with other diagnoses such as ADHD, dyspraxia, and dyslexia. Some students with dysgraphia experience clinical levels of stress when asked to write. Many learners with dysgraphia have a poor academic self-concept. Many students with dysgraphia are embarrassed for others to see their handwriting and written language. Many have trouble slowing their thought processes to accommodate their slow and labored writing. Many have difficulty maintaining their posture when writing. They may slump in the chair and pull away from their work. 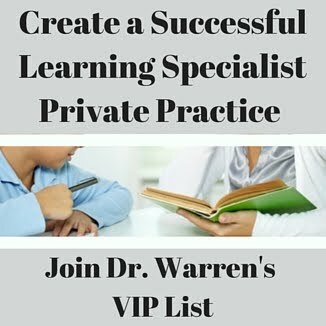 What are the Steps you can Take to Help a Child with Dysgraphia? Understand the signs and symptoms. Take notes on the specific symptoms that you see at home. Ask the teachers if they're seeing any signs of dysgraphia. Pursue an educational evaluation and investigate if there are other difficulties such as dyslexia, ADHD or dyspraxia. Work with a learning specialist/educational therapist and/or occupational therapist and develop fine motor and visual processing skills. Three of my favorite products/Apps are Color Coded Writing and Touch and Write, and Cursive Touch and Write. Determine reasonable accommodations in the classroom. Uncover the appropriate technology tools that can help each student work around their areas of deficits (see suggestions below). Make writing highly structured and organize by taking Dr. Warren’s course - Teaching Writing Skills. This will provide the multisensory tools, instruction, handouts, and technology training for teaching written language to students of all ages. Fine motor dexterity - is the coordination of small muscle movements with the hands and other parts of the body. They may have difficulties with activities such as puzzles, using scissors, tying their shoes, holding a pencil, writing legibly. Visual processing - is making sense of the visual information in the environment. These students may have problems with activities such as letter and number spacing, writing on a line, forming letters numbers and shapes, making sense of maps and other visually dense information, and/or copying images. Visual spatial skills is the ability to understand, reason and remember the relations among characters or objects in space. This often manifests with difficulties completing puzzles, copying images, keeping writing on the lines and problems with spacing between words. Planning and organization of ideas - involves taking all the needed information and coordinating a coherent written response. This may include recalling information, recognizing important main ideas and details, finding the right words, and using proper grammar, punctuation, and syntax. Use voice to text technology such as Voice typing on Google Docs. Use apps such as notability for taking class notes. This will enable students to take pictures of the smart board or Blackboard, another student's notes, graphs and more. It will also enable them to write bigger and shrink their handwriting down. If they're writing is crooked they can even select the text and straighten the orientation. Furthermore, notability allows the students to record their teacher's words when needed. Use TheMathist - http://www.themathist.com/app to write out math notes and pull information into Google docs or Notability. Use TextHelp's EquatIO to type or speak out math! Use a scribe or a “secretary” to capture ideas in written form. Reduce the length of assignments and oral assignments when possible. Get a copy of the teacher’s notes or another student’s class notes. Make writing highly structured and organize by taking Dr. Warren’s course - Teaching Writing Skills. 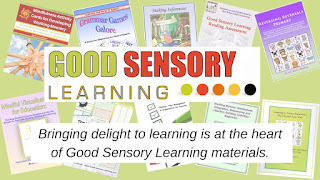 This provides multisensory tools, step by step videos instruction, a color-coded approach, printable handouts, and technology training for teaching written language to students of all ages. Provide large graph paper for completing math problems so that each digit or variable can fit into their own box and problems can be lined up. Offer extended time on tests and assignments that require handwritten or typed responses. Provide highly structured activities/assignments and break assignments down into manageable chunks with clear expectations and deadlines. Offer assistance with proofreading. Help the student to create their own editing checklist. Provide paper with raised or different colored lines to help with the formation of letters, words, and sentences. Find a comfortable pencil grip that fits over the pencil. This can help position the thumb, index and middle finger correctly. Try writing on a slant board or a 3-inch binder. Writing on a slanted surface allows the wrist to extend, the fingers flex and for the hand to naturally fall into a better writing position. Use graphic organizers to help break writing projects into manageable steps. Scan worksheets so they can be completed on a computer. There are a few free iPad apps that let kids complete photographed worksheets on a tablet. Two are PaperPort Notes and SnapType. Consider pursuing an evaluation to see if vision therapy may help. I hope you found this helpful. Reach out any time!